LAS VEGAS, NV--(Marketwire - February 16, 2010) - Beneficial Holdings, Inc. (PINKSHEETS: BFHJ), a casino and hospitality investment and management holding company, purchased a hotel from a subsidiary of Grupo Lafise, S.A. The hotel is in Managua, Nicaragua. It is in walking distance to coffee shops, restaurants, the private hospital Salud Integral, and the Theatre Justo Rufino Garay, among other locations. 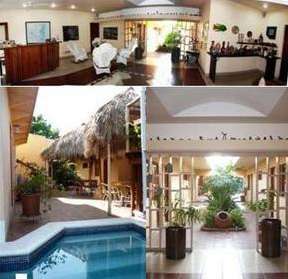 The hotel, to be known as "Hotel Beneficial," is now owned by Recreaciones Beneficial, S.A., a Nicaraguan corporation. The Company will establish a reservations website at www.hotelbeneficial.com shortly. Presently, Beneficial possesses two gaming properties in Nicaragua and expects to take possession of a third location in Tipitapa, Nicaragua. The hotel will be the Company's fourth operating location. The Company's subsidiary will open an online casino for non-U.S. players, known as www.bet.cr in March 2010. "We would like to thank Grupo Lafise for promptly closing on this transaction and we look forward to working with their bank, Bancentro, in Nicaragua with respect to future transactions," Alex Papic, Vice President of Beneficial Holdings, Inc., said. Beneficial Holdings, Inc., is an international casino investment and management holding company, specializing in acquiring undervalued gaming assets. The Company presently maintains two physical gaming properties and is in the process of acquiring a third property while creating its online casino. The company funds its acquisitions with private investment capital with the intent to increase shareholder value while building a world-class gaming operation. The Company is in the process of a six share dividend to increase liquidity of its stock. An ex-date has not been announced. The Company's authorized shares are 129,000,000 to increase to 903,000,000 to accommodate the six share dividend. Presently, there are 89,587,907 restricted shares, which will increase to 627,115,349 after the six share dividend. There are no more than 39,412,093 free-trading shares, which will be a maximum of 275,884,651 free-trading shares post-dividend. Hotel Beneficial Las Palmas, Nicaragua, is the first hotel purchased by Beneficial Holdings, Inc. (Pink Sheets: BFHJ).